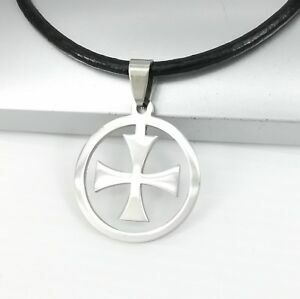 Silver Knights Templar Cross Chain Pendant 3mm Black Leather Necklace Surf Jewelry. Your information will not be shared with any other party under any circumstances, unless required to do so by law. We use high quality stainless steel, which has high resistance to rust, corrosion and tarnish, and requires minimal maintenance to keep jewelry as new.